KNOXVILLE, Tenn., /PRNewswire/ -- ZDi Solutions, LLC announced today that Mitch Steenrod has joined the company as an investor, advisor, and chairman of the newly seated board of directors. Steenrod offers more than twenty years of diverse management and accounting experience, including in-depth financial analysis, strategic planning, agreement construction and negotiation, and budget preparation for two of the largest public and privately held companies in the country. "I have known Mitch a long time, and there isn't anyone I know through business that I respect more," said ZDi Executive Vice President Tim Sykes. After the company's formation in 2001, Steenrod held various leadership positions at Pilot Flying J, where he served as senior vice president, chief financial officer, and chief risk officer. Between 2009 and 2010, Steenrod played an integral role in efforts to merge Pilot Travel Centers LLC with Flying J Inc. As a result, the company's travel center network expanded by more than 75 percent. Today, Pilot Flying J is the largest operator of travel centers and travel plazas in North America. Steenrod's continuous support of businesses in the field of medicine and healthcare is significant personally and professionally. "I was humbled by ZDi's invitation to join their team as an advisor and investor in the enterprise," Steenrod said. "Their mission is truly one of seeking the best and most efficient outcomes for cancer patients. My mother is a cancer survivor, so my wife and I felt it only fitting to partner with ZDi to progress radiation and proton therapy to an unprecedented level." 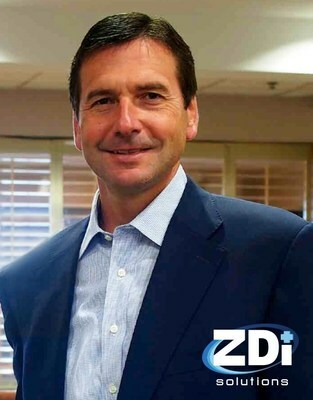 As chairman of the board, Steenrod will lend crucial insight to ZDi during a pivotal moment in the company's history. "We could not be happier to have Mitch join our company," said ZDi CEO John D. Hawkins. "He will be a tremendous asset. As a former CFO for a Fortune 100 company, his expertise will give ZDi a considerable advantage for ongoing business strategy." Headquartered in Knoxville, TN, ZDi Solutions, LLC is an innovate patient positioning and immobilization device manufacturer in the radiation oncology market. The company has developed a line of unique, patient-centered products that allow the proton therapist to more efficiently and precisely prepare patients for different modalities of imaging and treatment. The Z-System™ device increases the accuracy and consistency of the patient's position in an effort to reduce risk during cancer treatment. The devices also decrease liability for facilities, while providing better patient outcomes. More information about this breakthrough technology can be found at zdirad.com. For an inside look at the company's work, check out ZDi Solution's Facebook page.